After losing 5 consecutive matches, Bangladesh finally won a T20. Bangladesh won against Windies by 12 runs in a last-over drama at Lauderhill in Florida. In addition, Shakib’s forces levelled the 3 matches T-Twenty series by 1-1. Bangladesh started their T20 part of this West Indies tour very poorly. 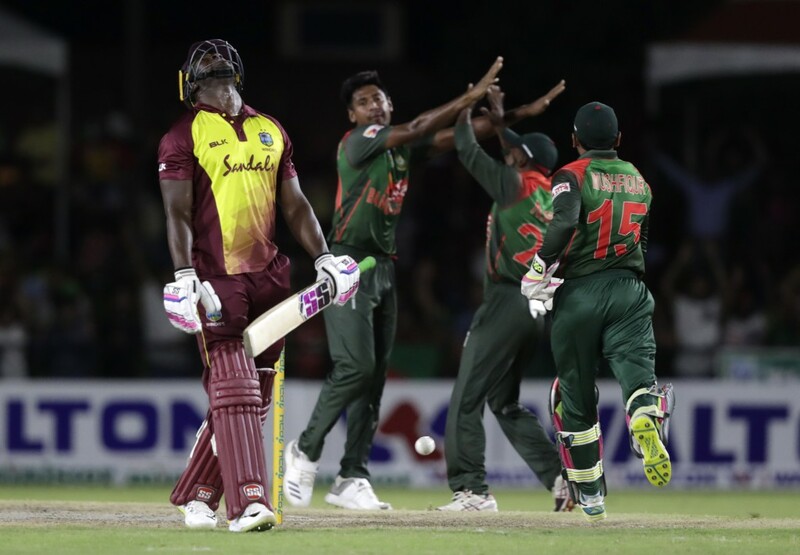 In the first T20 match, Tigers were comprehensively beaten by the West Indies. After the defeat in the last Nidahas Trophy final, Bangladesh’s appearance in T-Twenty was consistently faded. So, there was a little hope for an excellent result for their first ever international match on USA’s soil. But two days ago, Tiger captain Shakib announced that his team have the potentialities to turn around. after losing these two early wickets. When Soumya Sarkar dismissed as the 3rd wicket, the team’s score was just 48 runs in 7.4 overs. After that, captain Shakib came at number 5. He started to dominate from the very beginning of his innings. Sakib has Tamim as his partner on the other end. These two have totally changed the game scenario. Though, this pair was the main hope for Bangladesh’s batting throughout the ODI series. Shakib-Tamim pair added another valuable 90-run partnership from just 50 balls to help the team having a fighting total. Tamim played a wonderful inning of 74 runs from 44 balls, with Shakib scoring 60 off 38 balls. With this two fifties, Bangladesh put a fighting score of 171 runs. While the name of the opposition team is West Indies in a T20 match, the target of 172 runs seems not enough to defend for any side. 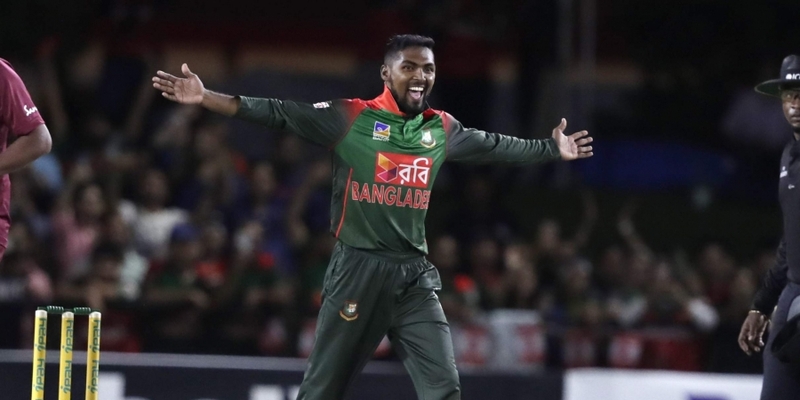 But Bangladeshi bowlers have made it difficult for Windies batsmen by Taking wickets at regular intervals from the start of the innings. wickets for 58 runs in 8 overs in the Windies innings. But then opener Andre Fletcher made a quick 58-run partnership with all-rounder Rovman Powell. Just after that, left-hander “Cobra” spinner Nazmul Islam Apu dismissed the dangerous Fletcher. Once again, the game’s momentum turns towards Bangladesh. At the end of the 18th over, West Indies needed 31 runs in 12 balls, with last three wickets in hand. The match was very much in Bangladesh’s way. But in the 19th over, Cutter Master Mustafizur Rahman made it little harder for his team by coinciding 16 runs. Then Captain Shakib relied on “Cobra” spinner Apu to defend 14 runs in the last over. The experience of defending runs in the last over was not very best for Bangladesh in the recent Times. But Najmul Islam has done an incredible job with the ball in the last over. The spinner took 2 wickets for just conceding 2 runs in the last over. And Bangladesh has their desired victory of 12 runs. Tigers are not getting the opportunity to celebrate the victory due to the final match of the series which is going to be played in tomorrow. But if Bangladesh can win in tomorrow’s match, they have a unique chance to celebrate something bigger. The Tigers did not win a T20 series with any other team except Ireland and Zimbabwe. So, all the best wishes for the Tigers to celebrate something huge in tomorrow morning.